It’s hard to believe we are already talking February, however, this month’s titles slated for release hold quite the variety. Below is an abbreviated list of books hitting your bookstore shelves this month (for more see links below). Shutter Island: Starring Leonardo DiCaprio, Emily Mortimer, and Mark Ruffalo, and directed by Martin Scorcese. This movie is based on the novel by Dennis Lehane. Percy Jackson & The Olympians: The Lightning Thief: Starring Logan Lerman, Kevin McKidd, and Steve Coogan, and directed by Chris Columbus. This movie is based on the the book (young adult) by Rick Riordan. Legendary author J.D. Salinger died Wednesday at the age of 91. 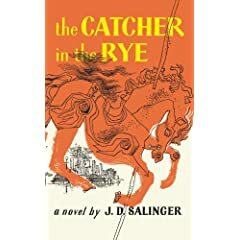 Salinger was widely known for his book The Catcher in the Rye which still remains on many high school required reading lists. Click here for Salinger’s “Best Sayings” from Catcher in the Rye. For more information on the author and his life, try this link to NPR. The following article came to me from several people before I even got the chance to read The New York Times last Sunday. “Reading might well have been among the last remaining private activities, but it is now a relentlessly social pursuit,” bemoans Motoko Rich in The Book Club With Just One Member. As Rich moves beyond book to reader to examine the ways in which we choose to read, she shares their effects on the commercial pursuits of our contemporary book industry. In case you are living under a rock, apple introduced the new iPad and it appears to be much more than an e-reader. A stretch for the literary purist, this latest gizmo brings much more than a book to the table. For more, read Publishers Embrace iPad As Rival to Kindle on NPR’s Morning Edition. The largest book in the world will go on show for the first time as part of the British Library exhibition on maps. HuffPost reports that the largest book will be among 100 maps considered “some of the greatest in the world”. NPR’s What We’re Reading for Jan. 27 – Feb. 2 includes The Unnamed by Joshua Ferris. Mr. Ferris held a reading at The University of Michigan last Monday night as part of their Creative Writing program. Poor Colm. Once again overlooked for his book Brooklyn, poet Christoper Reid walked away with the Costa Book of the Year Award for 2009. The prestigious literary prize is given to writers based in the UK and Ireland. Reid’s book, A Scattering, is a tribute to his late wife. Some familiar names flew at the Housing Works Bookstore last night when the National Book Critics Circle announced the finalists for its 2009 awards. Recently coming off of her National Book Award nomination, Kalamzaoo resident Bonnie Jo Campbell’s short story collection American Salvage (Wayne State University Press) is once again making the fiction list. Similarly reappearing in the non-fiction category is author Greg Grandin’s Fordlandia: The Rise and Fall of Henry Ford’s Forgotten Jungle City (Metropolitan Books) for his fascinating account of Henry Ford’s attempt to establish a “rubber kingdom” in Brazil. 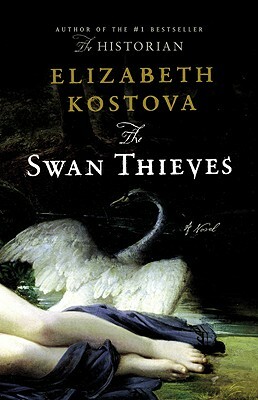 Both books were also selected as 2010 Michigan Notable Books. Established in 1974, the National Book Critics Circle is a non-profit organization consisting of “more than 600 active book reviewers who are interested in honoring quality writing”. The awards for the 2009 honors will be presented on Thursday, March 11, at The New School in New York. If you haven’t been to the Detroit Institute of Arts lately, you are missing out. If you didn’t take advantage of the the latest exhibit, well, all is not lost. The DIA’s sleek Avedon Fashion Photographs Exhibit packed up on January 17th, however, there is still a way to catch a consolidated glimpse of Richard Avedon’s work. And, of course, it all comes back to books. Like other famous artists, compilations of Avedon’s industry changing photographs have been secured and bound. In addition to the many books available online and at the Richard Avedon Foundation site, you can also find his work much closer to home. The DIA’s museum shop carries Richard Avedon: Portraits of Power among several other titles, and offers various artist collections as well. Though the life of Richard Avedon played out through his incredible fashion photographs, he eventually became the first ever staff photographer for The New Yorker which is well known for its reportage, literary contributions, and eccentric Americana. Avedon made the New Yorker his home until his death of a brain hemorrhage while on assignment in 2004. *As always, support your local bookstore, universities, and art institutions. It matters! -Post by Megan Shaffer with a special thanks to Linda Erikson!